First and foremost, your account should be a business profile — especially if you are selling products or services. This will help give you data and insights on your engagements, which can help you target and boost your audience. The first rule of marketing is knowing your audience…even if you are marketing on Instagram. Your content should resonate with your audience and give them something they can appreciate. Plus this will give you a clear vision of on the direction you need to go and what type of content you need to produce. While your main focus is to show your brand in a visual way that attracts your audience, you should still have a goal to network. Devote the same amount of time you spent creating the perfect visual content to interact with your audience. Use thoughtful ways to engage with your audience, like sending a quick personal message to new followers, trigger conversations by commenting back rather than just liking their comment. Show your audience that you appreciate them following you and that you care about what they have to say. This is important for any kind of social media platform but it is the most important on Instagram. People are looking to follow real people that have real and exciting experiences. Try not to make your photos too processed. Always make sure your captions represent your voice. Strive to be as real as you can be to help your followers believe and trust you. One of the best ways to do this is to utilize Instagram Stories to show behind-the-scenes content or to post something spontaneous. Your audience will love the sneak peek that truly make them feel special. Frequently posting generally results in more engagement and followers. This makes you commit more time but creating more content and having a consistent schedule is worth it. Use your time to create a content calendar that will help you strategize your post by knowing what it should look like and when is the best time to post. Your Instagram page should also have a consistent visual look to it. It should have the same visual theme that sticks to relevant subjects and topics. Your goal should be creating content that has the same look and feel but your audience can recognize that it’s from you without having to look at who posted it. 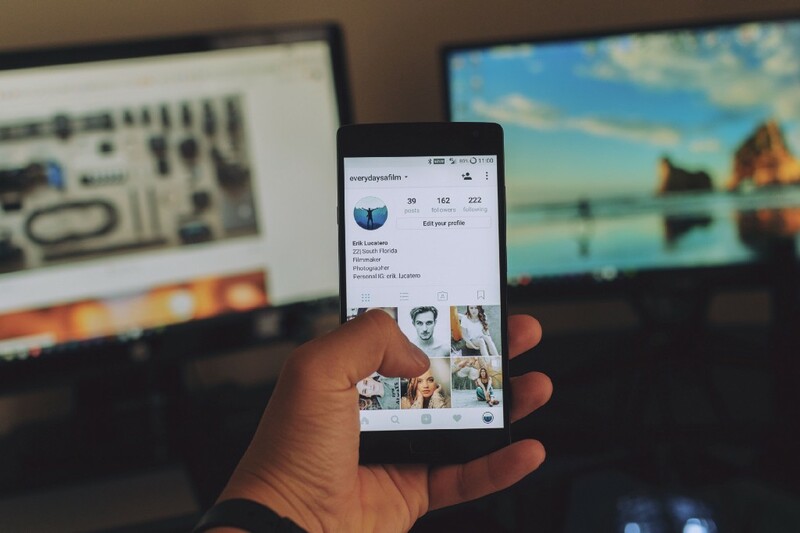 Frequently posting photos and videos is a great way to build up your audience but maximizing Instagram Stories allows you to boost your brand exposure in new ways. Use Instagram Live to share live events and updates but also create stories with hashtags and location markers to boost discovery potential. Experiment with GIFs, cinemagraphs, and boomerangs to give your content a new way to gain more attention. Make a conscious effort to expand your network by connecting with influencers and other accounts. The more people you connect with the more likely you will get exposure to your content from people accounts and groups of people you have never heard of. This is kind of a no-brainer but sometimes what you might be posting you may not think is boring. Don’t keep it safe, experiment with new ways to make your content stick out and show off your brand personality. Add value to every single post. Tell a story. Be picky about what you are posting. Ask yourself does it meet all of your expectations, if not, don’t post it and come up with content that excites you. Quality over quantity. — Yes, I know I said earlier is best to post frequently but if you aren’t putting quality content out there, how much you post won’t matter. In the world we live in, we see an advertisement in almost every single thing we look at. Our minds have gotten used to seeing so many ads we naturally have learned how to block some out. If your content sounds like you are constantly trying to sell something your audience will start blocking out your post. Instead, if you are trying to sell services or products try to do it in a creative and subtle way. Make the content more organic in your feed by adding some substance that will resonate with your audience. Your handle should be unique and personal to your brand but also something that is easy for people to remember. Your profile photo should either show your face or your brand logo. Keep in mind it’s important to factor in the size of the photo and how it is going to be presented. Your profile bio should be short, clear, and direct. Make sure it is well-written and engaging. It should attract people’s attention and make them want to connect with you. These elements are the most important parts of your page. If a visitor doesn’t like them or can’t engage with them, it’s likely that they will move on and forget about you. It looks tacky and untrusting. Plus it’s a huge red flag going against the terms and services agreement. Also, avoid posting any inappropriate content or insensitive comments. This is a platform where you want to share your story and be yourself, yes, but being reported for bad behavior doesn’t look good for a brand image. So there you have it — 11 ways to grow your audience on Instagram. Most importantly, make it fun and enjoy being able to interact with the people who like what you are interested in. Get More Out Of Instagram was originally published in Marketing And Growth Hacking on Medium, where people are continuing the conversation by highlighting and responding to this story.